Guess what! It's almost release time! In order to celebrate the upcoming releases of My Tethered Soul (August 19th) and Call Me Grim (September 9th), we've put together an amazing giveaway. 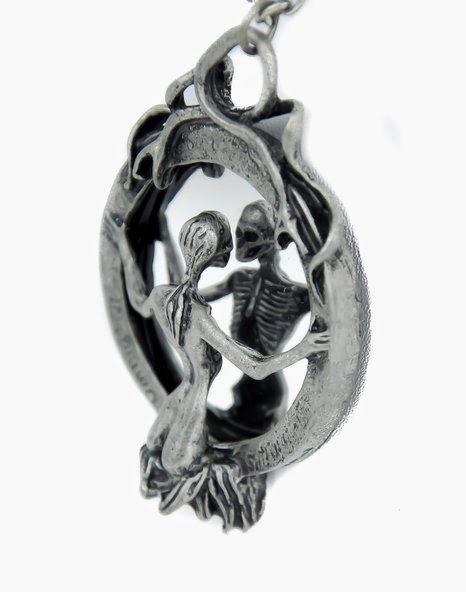 Not only can you win signed copies of our books, but a killer cool necklace and a $50 Amazon gift card or Paypal cash! Doesn't that sound awesome? All you have to do to is enter the Rafflecopter below for your chance to win. Are you excited? Then what are you waiting for? Good luck! In a world oppressed by false gods who seem to see to the heart of one's every impulse, Ellie Ann constructs a brilliant cogwork puzzle of characters, technology, motives, and hope. I don't use the term cogwork lighty here. When I'm not reading you can probably find me tinkering with something steampunk. Yes, we have conventions. Yes, I attend them. So, when the opportunity to review a somewhat steampunk YA science fiction novel came across my desk, I was oddly enough, a little terrified. Nonetheless, my curiosity won out, and thank goodness, because the World Building made me want to squee like a fangirl. Ellie Ann's writing didn't take me by the hand and explain every detail of her created society to me, instead she sat me down in it and made it so rich and full that while it was different, and oh, was it ever different, there were enough details that I could quickly merge with the story and enjoy learning about the culture she'd created, rather than feeling thrown from the book with tired explanations. It wasn't just her world building though. 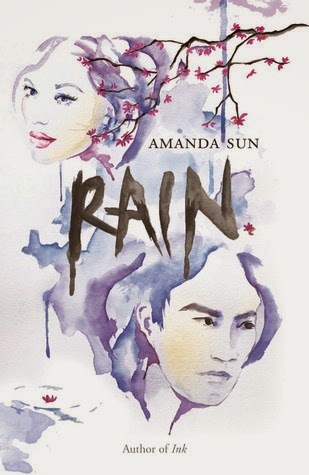 Her characters have depth, idiosyncrasies, and world views that are simultaneously easy to relate to, but entirely foreign. Within the first three chapters I was emotionally invested, not only in the fate of Farissa and Zel, as individuals but also as a pair, but also in Gira - in trying to better comprehend these alien would be gods who had set themselves above even the rulers of men - and also the cogsmen, whose unique position somewhere between man and machine both intrigued me and raised so many ethical and technical questions. oppression. I like this book because it raised my heart rate and kept me up far later than I wanted to be up, despite the fact that I had class the next day. Best of all, I love that when I finished this book, it was over. It is a stand alone novel, and while I'd love to read more about the Amar, I am a big fan of stand alone novels. This is definitely a good book for readers who not only enjoy science fiction, but like their female main characters adventurous, quick witted, and big hearted, and their male main characters to be made of the awkward but loyal and mechanically brilliant sort of stuff that other heroes only dreamed of while trying to fix the hinge on a door. 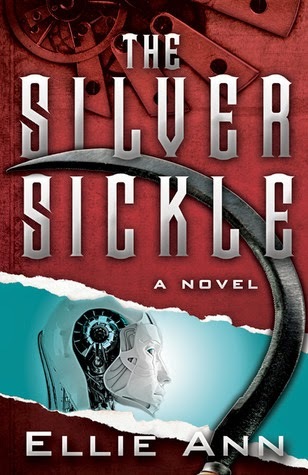 The Silver Sickle is available through Amazon and Barnes & Noble. 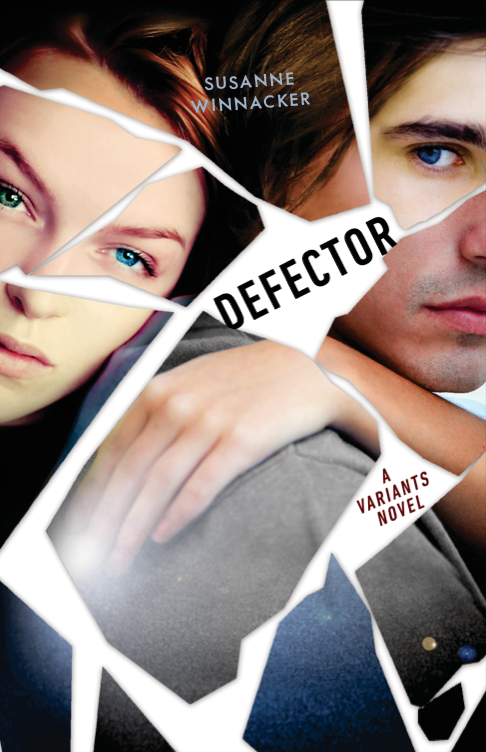 Tomorrow, the second book in the Variants Series by Susanne Winnacker entitled DEFECTOR will be released! Check it out! 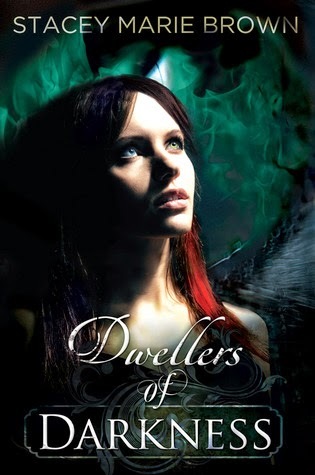 Today we join the Dwellers of Darkness blog tour by chatting with author Stacey Marie Brown. 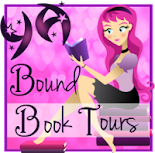 Join us as we get to know more about Stacey and her NA Paranormal novel. Make sure you keep reading to take part in the giveaway! Hi, Stacey! Welcome to We Do Write. Tell us a bit about yourself. How long have you been writing? I’ve been writing since the time I learned how to put sentences together. Stories, plays, and poems were my way to release, express myself, and to escape. I don’t know why but I never thought about it as a career till the last couple of years. I went to school for acting, then architectural design. Creating worlds is always something I loved to do. When I started writing Darkness of Light, I knew without a doubt this was what I was meant to do. Everything led me here. Tell us about DWELLERS OF DARKNESS. What’s the story about? Dwellers of Darkness is the third book in the Darkness Series. This story continues where Fire in the Darkness left off. In the beginning we deal with the fallout from Embers disappearance/reappearance. All the characters go through huge changes in this one. Ember has finally accepted what she is, who she loves, what she wants . . . now she has to fight to keep it. There are new revelations, secrets, romance, and two hilarious pixies. The final book, Blood Beyond Darkness comes out August 2014. Reading inspired me. A lot. The more I read, the more my own story came to me. I think other authors will understand this, but the story took over my thoughts. Scenes started coming to me in the shower or when I was about to fall asleep. The characters had strong personalities from the beginning and started coming alive. They wouldn’t let me be till I started to let them out. I think it is VERY important to have outside help. You become too close to a story and its characters. You feel every drop of information is important, but to a reader it can be just the opposite. That was a harsh lesson when editing my first book. Now I understand a lot better and will cut scenes and characters a lot more ruthlessly. I also found they are good at knowing what should be expanded on. To you the story makes sense (in your head) but it does not always does translate on paper. Always, always, get your stuff professionally edited. It is your brand. Put the best product out there you can. I am a little of both, but mostly a pantser. I like having a basic idea of what is going to happen; but every time I try to structurally plan a scene, my characters take off in the opposite way. When I let them go, they always take me to a place that’s even better than what I was planning. I love them improvising in my head, and I just type out what they are saying. These characters are so real to me. I can see their movement, habits, phrasing. My actors and I am the director. Making an actual living from it! Also, it’s hard reading reviews when the reader says something mean, clearly didn’t understand what you were trying to say, or took it wrong. You automatically want to defend yourself and the characters decisions, but you have to take a moment, breathe, and understand that not everyone is going to like it. Those readers who really do get it, connect with it, and love it make you forget all the bad anyway. My readers make it all worth it . . . tenfold. Other hard parts are: writer’s block, finding unique twists in a story that none sees coming, and fight scenes (trying to keep up the tension and make each one different than the last). But it is ALL worth it. There is nothing I would rather be doing. Music and caffeine! I have to leave my house and go to a café, with no Internet, but lots of caffeine and my music soundtrack to the Darkness Series. A hot guy in the corner or serving my coffee never hurts either. I have six books on my nightstand right now. I always multi-read until one really grabs my interest and then I’ll finish that one. I would like to have magic to travel anywhere in a blink of an eye and live for thousands of years. The older I get the faster I feel life is going by and I would like to stay around and discover all the amazing things and places in it. Finish this sentence: If I'm not writing, I'm probably ... Reading, working out, or thinking about my plots! Sad, but true. Need to start traveling again. Get a boyfriend that isn’t in a book! 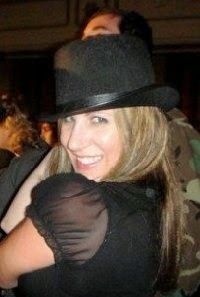 My street team: Stacey’s Geek Squad (Eli’s Entourage) are AMAZING! Love you girls. Seriously, I would be here all day with all the people that have supported me. All the book blogs, readers, friends, fellow authors . . . THANK YOU! Amazon is the best place. 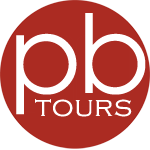 My website will link you to all the different places.